In Japan today, you can get around anywhere overland by train or car, as the transportation network such as railroad and road are well maintained. However, in the olden days, there was no choice but to walk by yourself or ride on a horse, and it took a long time getting around. For your information, to go to Kyoto from Tokyo today, it takes 2 hours on Shinkansen and 6 hours on express way, however in the olden days, it took two weeks on foot. During such journeys, what people needed were accommodations. This is how the post stations got developed along the main routes used by the travelers. In the Edo and the Tokugawa eras, the "Edo-Five Routes", consist of Tokaido, Nikko Kaido, Nakasendo, Oshu Kaido and Koshu Kaido were established as the main routes connecting Edo and other places. On Tokaido, which connects Sanjo Ohashi in Kyoto to Edo Nihonbashi, 53 post stations were placed and was called Tokaido goju-san tsugi (53 stations of Tokaido). There were 69 post stations on Nakasendo. Most of them no longer look like how they used to be, but some of them still reserve the original townscape thanks to the effort made by the locals. Here are the five main post stations that convey the charm of the old-fashioned landscape to today’s world. It is on Shimotsuke highway (also called Aizu West highway), which is 130km long, and connects Aizu castletown and Nikko. During the Edo era, it prospered as a major post station for the alternate attendance of feudal lords and transportation of goods to Edo. 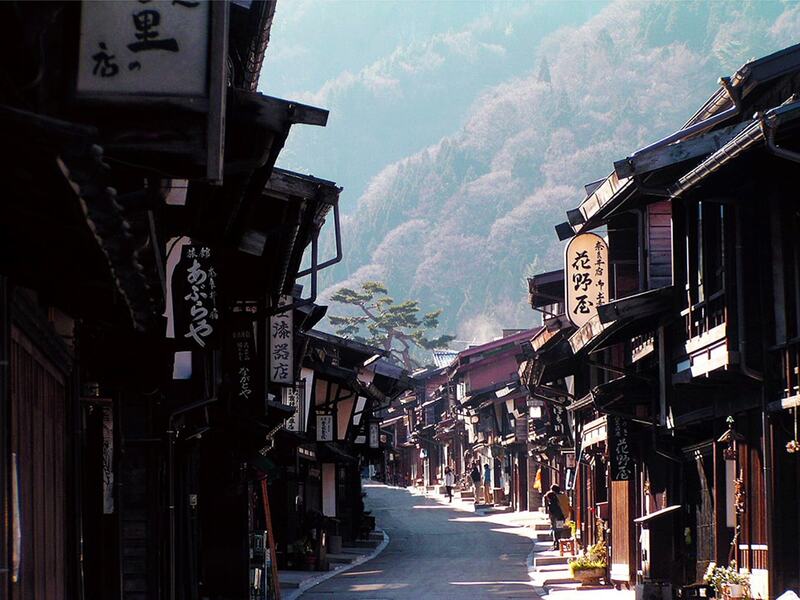 Since the Meiji era, because of the change of the times such as falling outside of the main roads, some intermountain villages were left unchanged, so they still retain the remnant of the olden time. 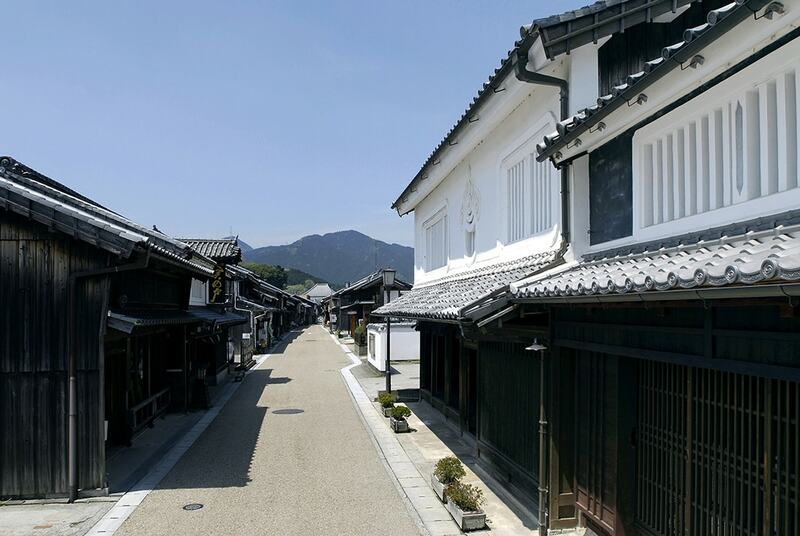 In Ouchi-juku, the buildings are hip roofed and are evenly lined on the both sides of the highway. The main feature of these rectangular buildings is that the wall with the shorter sides is facing the highway. 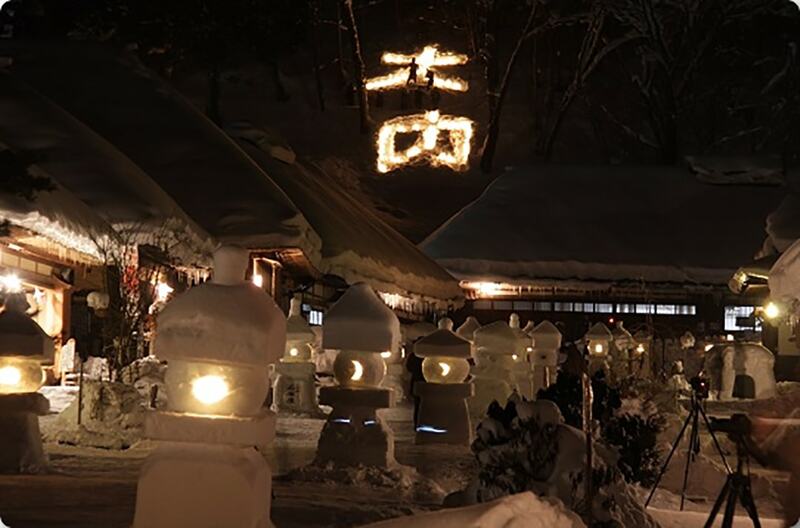 In summer, enjoy "Hange festival" on the 2nd July, and in winter "Ouchi-juku Snow Festival" on the second Saturday and Sunday in February, Especially, at "Snow Festival", both sides of the roads are lined with lanterns made of snow, which look very atmospheric. Located at the southwest end of Kiso Valley, a narrow village in the valley which stretches across north and south for approximately 600 m. On Nakasendo, which connects Edo and Kyoto, this is the 42nd post station from Edo, among the all 69. As this was the intersection point of Nakasendo and Ina-Kaido, it was bustling as a traffic key point. The roads of c are shaped "Masu-gata”, they were bent at right angles, to prevent the enemy from getting in at the time of a battle. 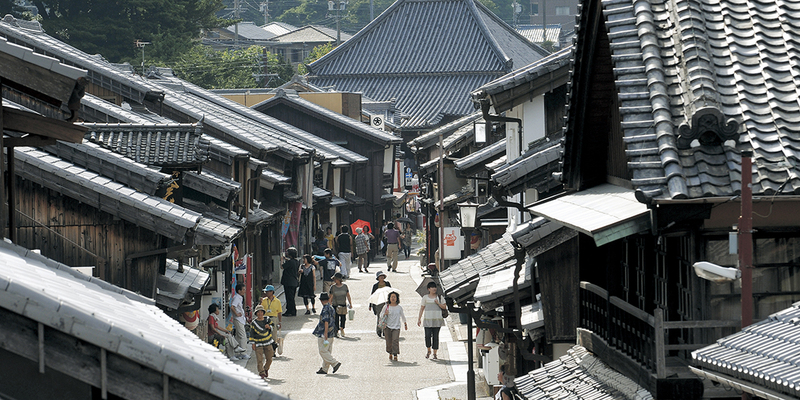 The townscape of Terashita is unmissable. It is the best preserved area that retains the remnants of the post station days. 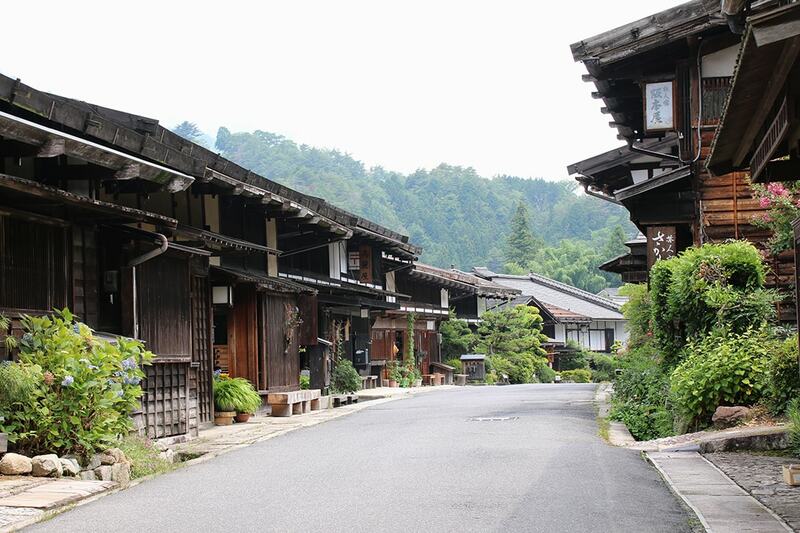 Also, Tsumago-juku Honjin where major lords and shogunate officials stayed, Waki-Honjin Okutani (designated as a nationally important cultural property) which was a less premium accommodation than Honjin, and the lodgings used by common people such as Kami-Sagaya, Shimo-Sagaya are worth seeing. Next to Tsumago-juku, the 43rd post station on Nakasendo. The highway runs across the steep slope along the mountain ridge, and the buildings were built by the stone walls on both sides of the highway. The cobbled street is quaintly charming. The stone pavement of Ochiai, around the Jikkyoku Pass that runs from Magome-juku to Ochiai-juku, retains the ambience of Edo. 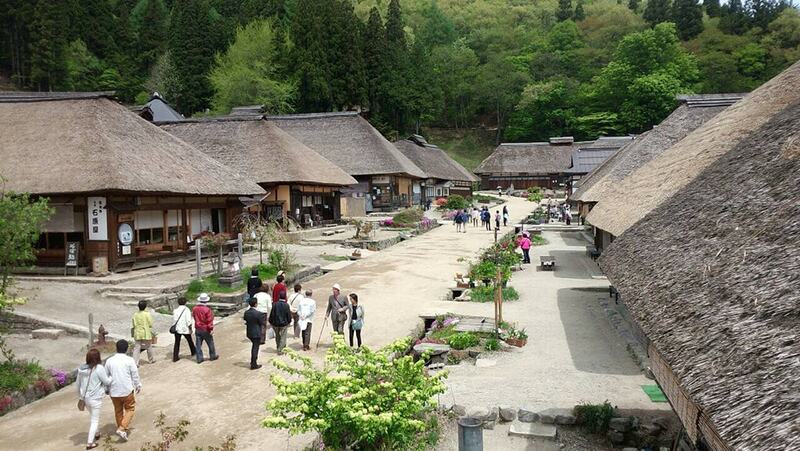 "Toson Memorial Museum" is unmissable in Magome. In addition to a large number of information materials about Toson Shimazaki, who was a novelist in the first half of the 20th century, the building where he used to live is also very much worth seeing. In the courtyard with a foundation stone of the Honjin and a storehouse, you can enjoy the remnants of the bygone days. 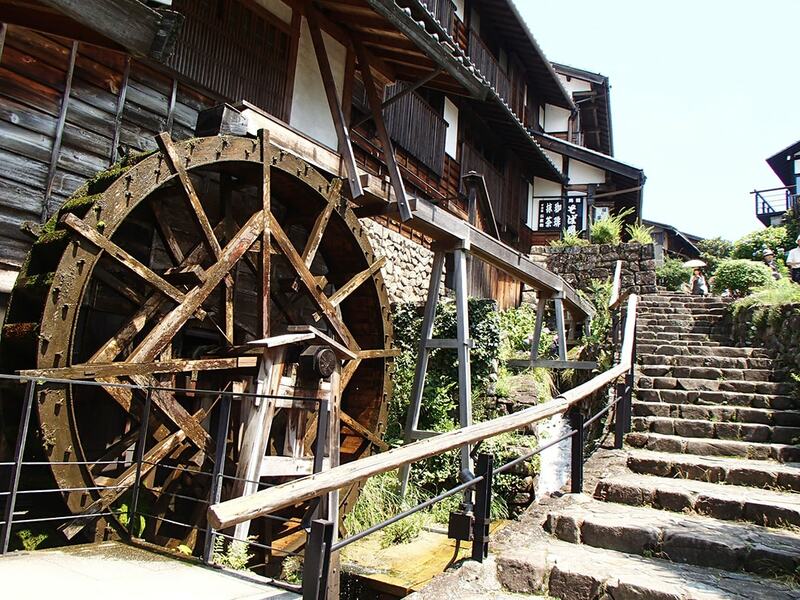 The water mill that is located a little out of the town center has quite a quaint atmosphere, you can enjoy feeling as if you have time-tripped to the Edo era. Narai-juku on Nakasendo is the longest stretching post station in Japan. It forms townscape for approximately 1 km along the Narai River. 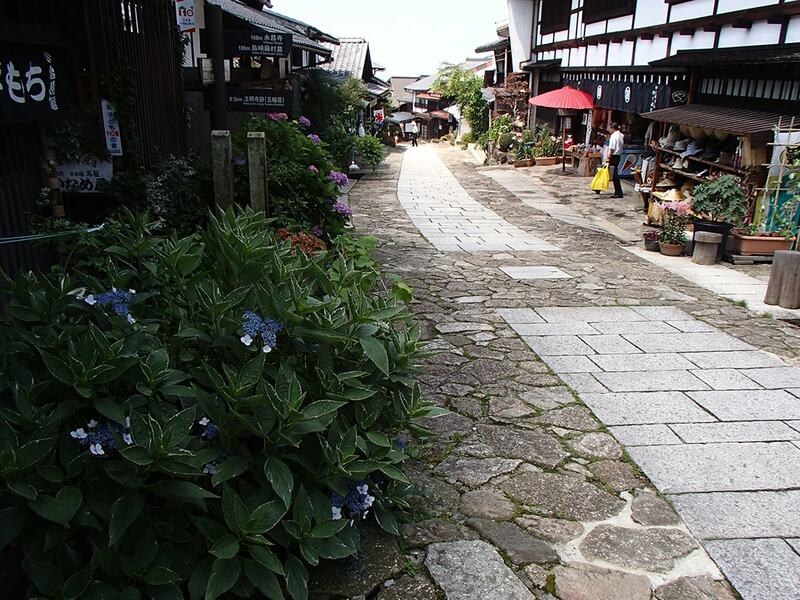 It is the highest altitude among the 11 post stations along Kisoji, on Nakasendo. Because it is located just ahead of Torii Pass, which is a bottleneck, it was the busiest post station on Kisoji, and was celebrated as "Narai 1,000 buildings" in its heyday. 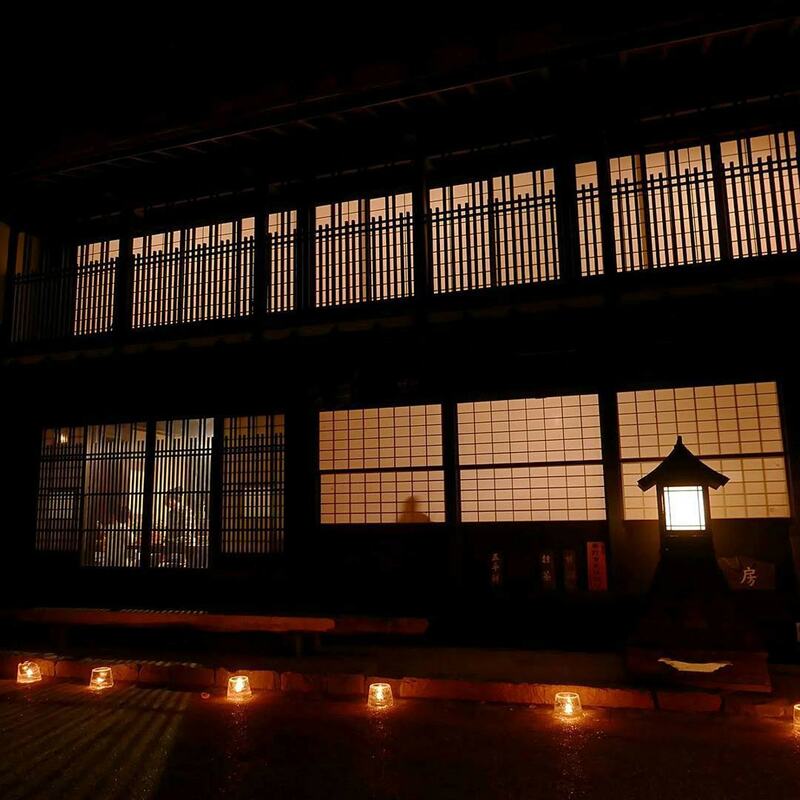 Details such as the lanterns in front of lodgings and Senbon-goshi (1,000 grids) are retained today, conveying the class beyond time. The buildings are characterized by the construction of canopied eaves. When overlooking Narai-juku Kamicho area from Shizume shurine, you can see how the roofs are angled. There are a lot of must-see sights, for example Tezuka family house (Kamitoiya historical museum) and Tokuriya (Hara family house), also worth dropping by are Kiso-no-Ohashi bridge made of Kiso Hinoki cypress that is over 300-year-old, and Kyu-Nakasendo Suginamiki, an ancient road lined with dozens of giant cedar trees. The 47th post station on Tokaido. Sekijuku is the area between Higashi Oiwake and Nishi-Oiwake, which runs for approximately 1.8 km. One of the ancient Sankan (3 checking stations), "Suzuka no Seki" (Other 2 are "Fuwa no seki" in Mino, "Arachi no seki" in Echizen) was established here. In the Edo era, it was bustled with people on the way to their alternate attendance, or pilgrims going to Ise grand shrine. Although most of the post stations have lost their remnants of their heyday, over 200 old tadesmen’s houses built in Edo through Meiji eras are preserved in Seki-juku. The whole town gives you a feel for the daily life of the people in the olden days. 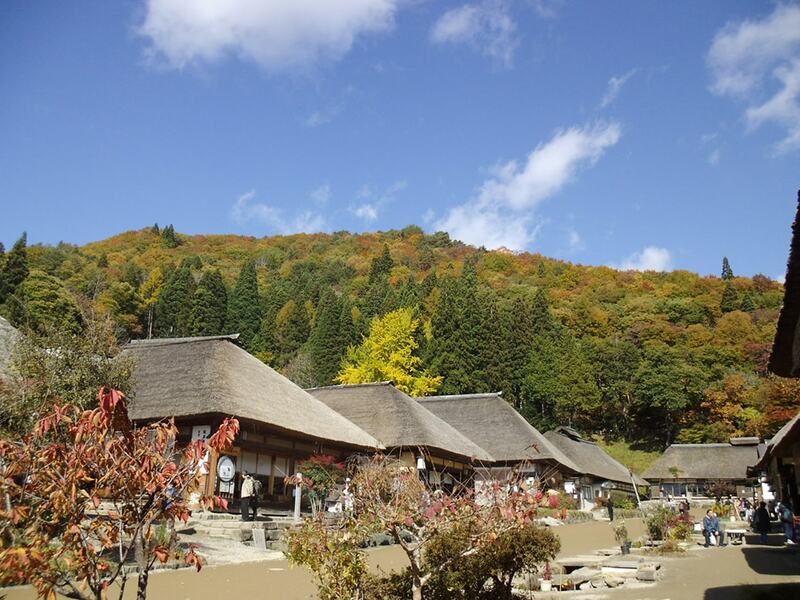 Sekijuku Hatago Tamaya Historical Museum and Seki Jizoin are also worth visiting. "Sekijuku Gion Summer Festival" held on the weekends in late July is a traditional event that has been continuing since the mid Edo era. The four ornate floats paraded at night down the streets in the town along the highway are totally unmissable. 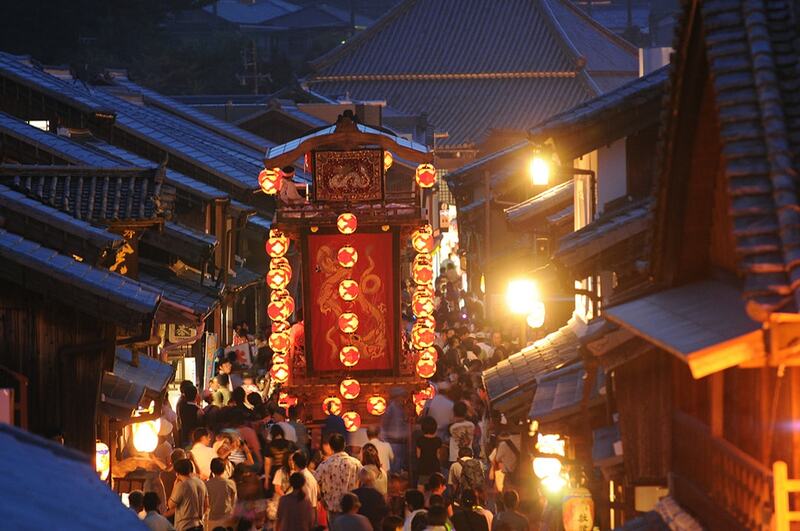 Enjoy the festival atmosphere of Edo era, as well as the charms of the townscape.